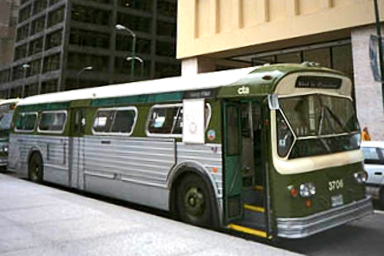 June 4, 1965 – Thomas B. O’Connor, the general manager of the Chicago Transit Authority, says that the city’s first ten air-conditioned buses will be placed in service within three days on the extra-fare Vincennes – One Hundred-Eleventh Street route. O’Connor says, “The 10 buses represent an experiment to determine the effects on patronage of air-conditioning, as well as operating cost. This information is essential to determine if more air-conditioned buses should be purchased in the future.” Together the buses cost a total of $322,000 and come from two companies – General Motors Corporation and Flxible Company. The air conditioning in the buses will turn on when the temperature rises above 70 degrees and will also maintain humidity within a bus at between 50 to 55 per cent. 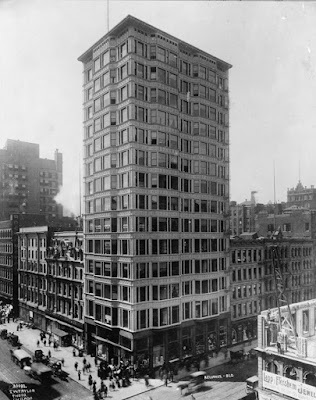 June 4, 1990 – The Chicago Tribune reports that the fate of the run-down Reliance Building at 32 North State Street looks bleak as an upcoming meeting between Manhattan-based AFS Intercultural Programs and city officials may be the last chance for saving the 1895 building. Preservationist Harvey Oppmann, who bought the land on which the Reliance stands for $250,000, says, ‘That building is a disgrace and it is a firetrap. Why it hasn’t been closed—I don’t know. I think it has the potential to harm people.” [Chicago Tribune, June 4, 1990] “Most of its cornice has been gone for decades,” the paper reports. “Its once-gleaming white terra cotta and glass façade, which anticipated by half a century the steel-and-glass high-rises designed by Chicago architect Ludwig Mies van der Rohe, is encrusted with dirt.” The deal with AFS never made it past the discussion stages. Four years will pass before the city buys the property for 1.3 million dollars, and the McClier Corporation joins with the Baldwin Development Company to complete a 27.5 million dollar renovation of the building, opening it in 1999 as the Hotel Burnham. 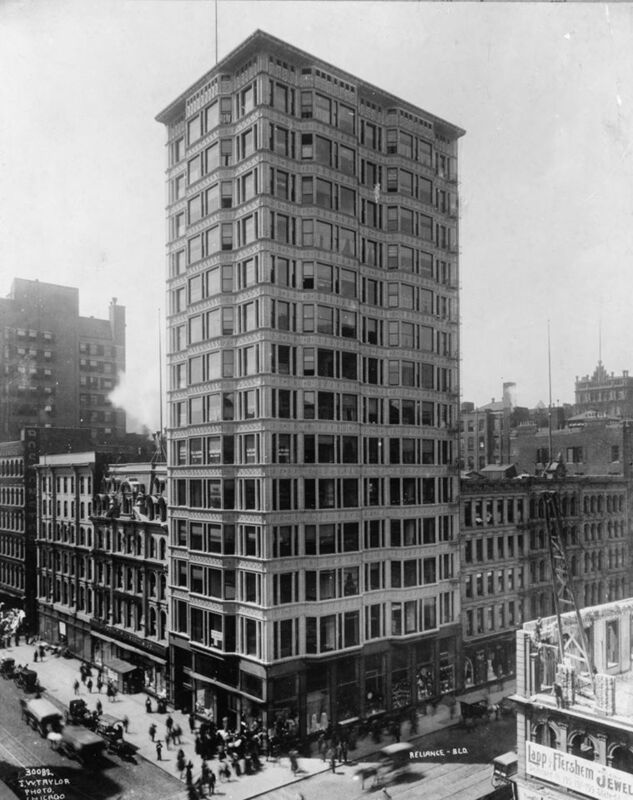 The photo above shows the brand new Reliance Building around 1900.